Akosua Vee is not here for today’s Instagram models, slay queens and actresses who have no shame in wrecking homes. Celebrity stylist, shopper and wife to outspoken political commentator Kwame A Plus, Akosua Vee has taken a swipe at actress Ella Mensah for proudly speaking about her amorous relationship with a married man. 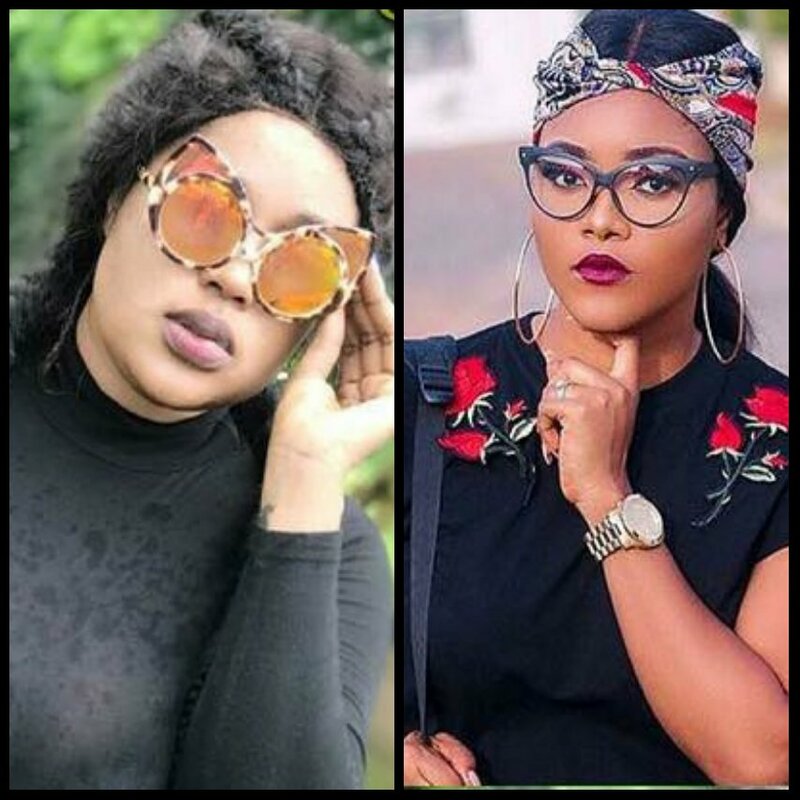 In a video which has since gone viral, Ella Mensah is heard proudly saying she’s dating a married man but intends finding a single guy to settle with in the year 2020. She’s quoted as saying; “No matter how fly or big any lady thinks she is, she will be under a man’s roof one day. My ultimate is not going to happen in 2018, mine is going to happen maybe before 2020. I’m in love with a married man so I’m now going to look for a single guy. It wasn’t not planned to be with someone who is already married because I’ve not done that before. Something just happened and he is one of the sweetest men I’ve ever met. However, Akosua Vee is not here for this. 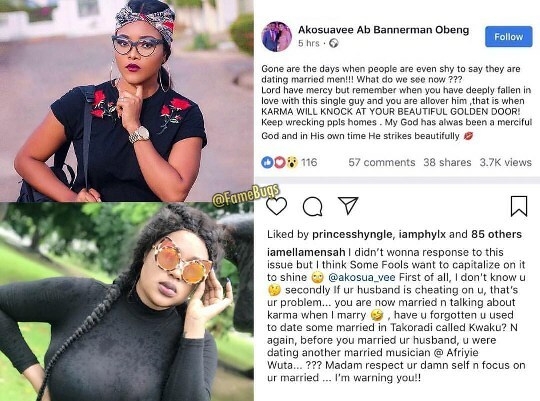 Reacting to the viral video, Akosua Vee who seemed shocked at the nerve with which the actress spoke to the media about her amorous relationship with a married man reminded the actress of how Karma could revisit her just when she had found that single individual she wants to settle with. In a post, she said; “Gone are the days when people are even shy to say they are dating married men!!! What do we see now ??? Akosua Vee’s post has since been deleted from Facebook but here’s a screenshot.